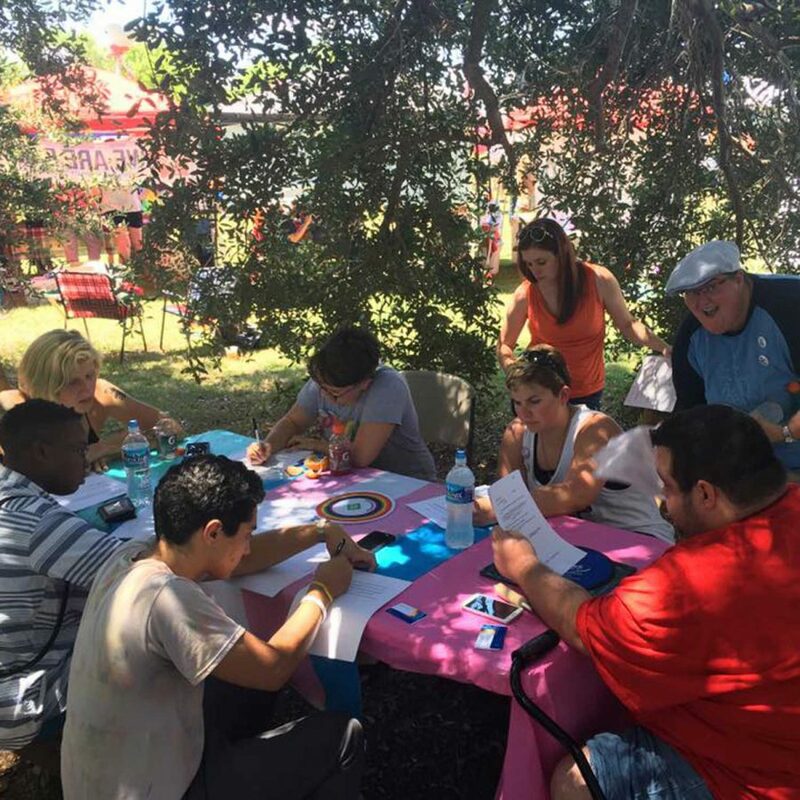 At the Campaign for Southern Equality, we’re working to build a South where LGBTQ people are equal in every sphere of life. More than one third of all LGBTQ Americans live in the South. But our community lacks basic legal protections, faces political attacks, and experiences health and income inequities. LGBTQ Southerners also live each day with courage and strength and are doing heroic work to promote equality in their hometowns. And every day, we hear powerful stories about how the South is changing. All of this is true at once. Legal and lived equality means being able to come out in your hometown. It means being able to be who you are and love who you love. It means finding a local doctor or service provider who will treat you with dignity and respect. It means going to a school where you can use the restroom that corresponds with your gender. A South where all of us can thrive – that’s our dream. It’s what we work for each day. In 2011, we launched our work from a church basement in the mountains of North Carolina. In the first chapter of our work, CSE was on the frontlines of efforts to win marriage equality in the South. We led the WE DO Campaign, which involved LGBTQ couples requesting – and being denied – marriage licenses in their Southern hometowns. More than 200 couples took action, with thousands of friends, family members and neighbors standing in support of them. We were part of lawsuits that struck down marriage bans in North Carolina and Mississippi and a lawsuit that ended the adoption ban for LGBTQ parents in Mississippi. In these start up years, we also ran more than 100 free legal clinics across the South helping people meet immediate needs. Help us fight for legal and lived equality across the South! Our work is rooted in empathy and in commitments to equity in race, gender, and class. Traveling the South for years, we met thousands of incredible people who were ready to organize in their hometowns. Over the years our work has grown and our team has too – we now work from Asheville and Durham, NC, and Piedmont, SC. 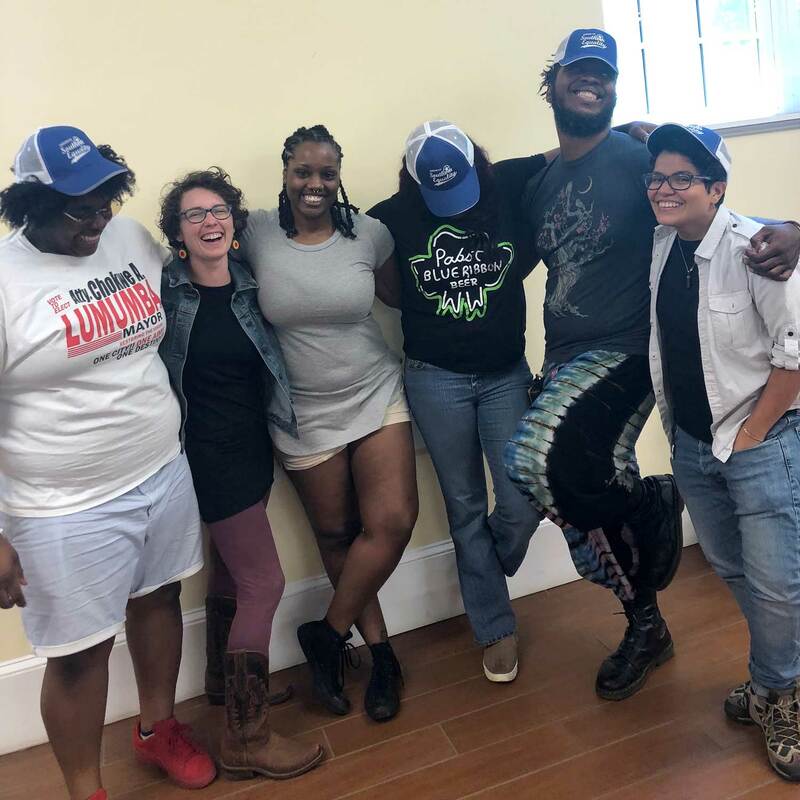 We use a range of tools in including direct services, direct action, litigation, grant-making, and long-term organizing strategies to respond to immediate community needs, support a new generation of LGBTQ leaders and build political power over the long term. From the start our work has been based on equity and empathy. We are committed to equity in race, class and gender. Because our work is rooted in the ethic of empathic resistance, we are called to resist oppressive laws and systems while expressing empathy toward those who oppose our rights.